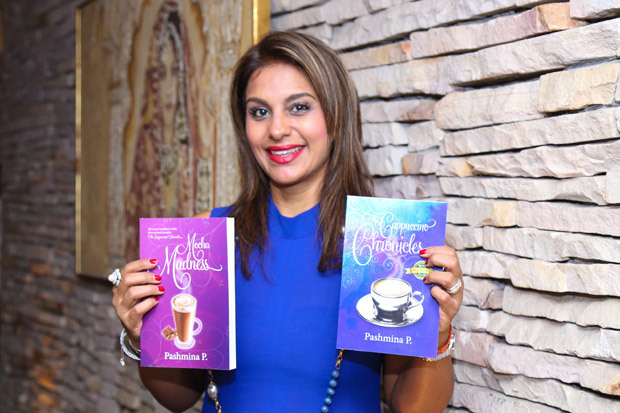 This week we sat down with international best-selling author Pashmina P. After almost breaking Amazon with the huge hit of her first book The Cappuccino Chronicles — a page-turning tale that pans out over coffees, good conversations and real-life experiences had by some spiritual and not-so-spiritual women across different parts of the globe — the recent release of her second Mocha Madness has already welcomed the same levels of success. And who would have thought all this started from her being put on bed rest! Find out what Pashmina has to say about her journey, writing and the release of her third book next year! You weren't always a writer. Tell us about your life before you became an author. I feel like I was born to write. I remember reading my first novel aged six. Before I realised what was innate in me to become an author, I was a performing arts teacher for 16 years at an international school. During that time, I obtained my M.Ed. in international teaching from Framingham State University in Massachusetts. Prior to that I worked at a very reputable PR firm in Hong Kong as an English copywriter. I was only 22 when in this job and was very quickly immersed into a world full of glamour. At a young age, meeting reputable designers in the fashion world as well as art curators and some of the best business people in Asia was exhilarating. My calling to become a teacher quickly knocked on my door; I realised that my BA in Theatre Arts would serve as a purpose to inspire children. My ultimate dream is to build a state of the art 1,200 seat proscenium style theatre in Asia. What made you decide to start writing The Cappuccino Chronicles? And what kept you going? The Cappuccino Chronicles started off as a very simple journaling exercise, based around fictional characters. I was put on bed rest for, what was supposed to be, six months. So in my solitude I created characters who entertained me, made me cry, made me laugh out loud and who took away my loneliness during my difficult pregnancy. When my child was born at six months, my writing journey seemed to take a standstill, as I nurtured my premature baby. I discovered that leaving my dream in a dusty cupboard, was not going to help me on my voyage in life, because I knew I was born to be a writer. I made a decision to pursue what I love, and I drew my family into my dream. They believed in me and with their love and support it has been a fruitful balance of work and fun. We will be expecting your third book at the beginning of next year. Who do you reckon would resonate most with these books and why? I think women will resonate with the trilogy. 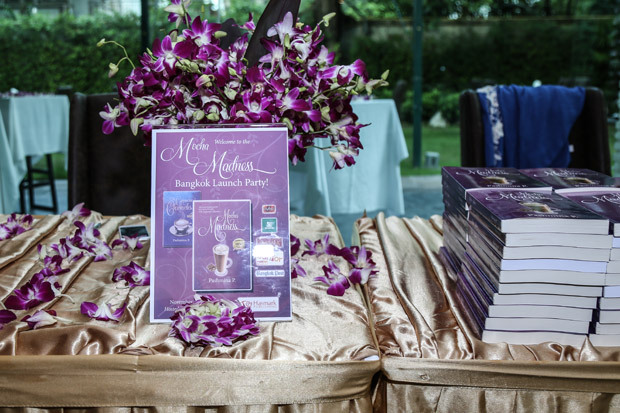 The book focuses on the lives of four women from different parts of the globe. They are connected by a bond of family and friendship. Culture plays a significant role in the trilogy, and lends itself to connecting with a variety of different women in the world. Out of all three books, which did you enjoy writing most, and why? I can't say which one was my favourite to write, because it's been a journey... and maturing as a writer has allowed me to grow with the characters as well. 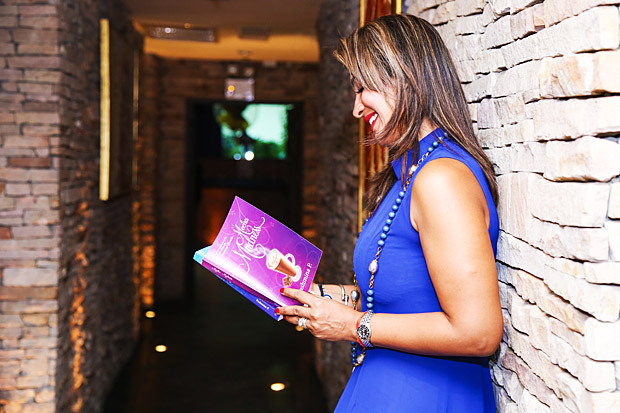 The Cappuccino Chronicles has become a part of my life and I enjoy sitting down with a good brew of tea... or coffee... and constantly reconnecting with the characters in the book. Which character do you relate to most in these books? I relate to all of them as the writer. There is inevitably a bit of me in every one of them. The song, I'm Every Woman by Whitney Houston (originally sung by Chaka Khan) resonates in my mind every time I write about these women because as women, we do play many different "roles" in our drama of life, and we are expected to be a certain way based on paradigms inbred in us from family, friendship and culture. I have found myself acting or connecting to the rudest as well as sincerest characters. What advice do you have for independent authors who want to self-publish? GO FOR IT! The journey is amazing. You are the dancer of your life and you can make decisions based on your fan base. One thing that self-publishing will teach you as an author is how to market yourself and your books. This is something that big publishing houses are looking for; an author who is able to leverage themselves in a way that connects them to the world. The path towards becoming an author has given me hope that there is a story inside us all. A great writing mentor always reminds us that it is in our DNA to tell a story... and this is the absolute truth. We have the ability to inspire through the power of the spoken as well as written words.